Note: Some cooks prefer to peel white asparagus before cooking. 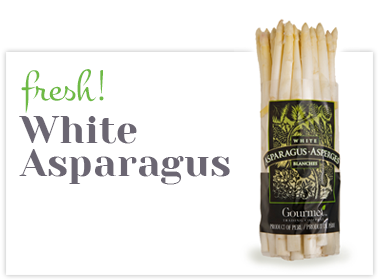 Did you know that green and white asparagus come from the same plant. 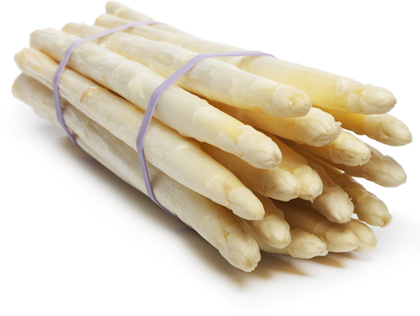 White asparagus is grown undergrown preventing photosynthesis. 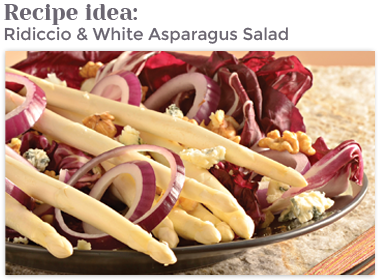 White asparagus is great raw! It is watery and crunchy.